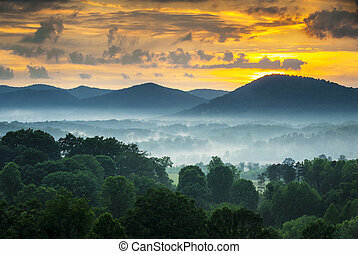 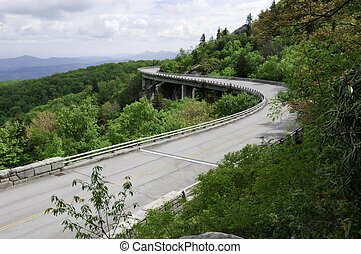 Blue ridge parkway. 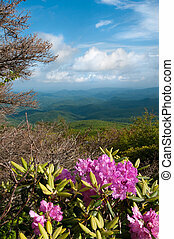 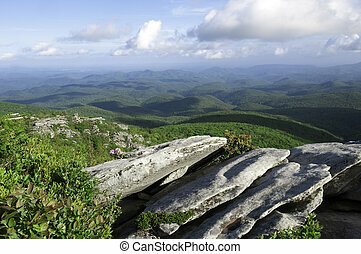 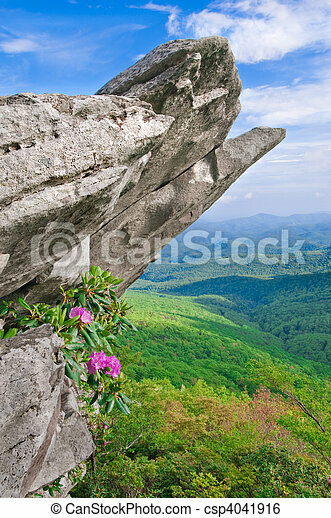 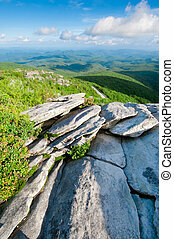 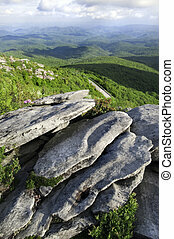 Beautiful view from the blue ridge parkway showing the native catawba rhododendron in full bloom on a rocky outcropping. 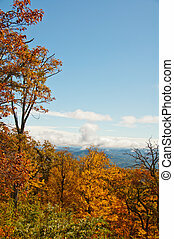 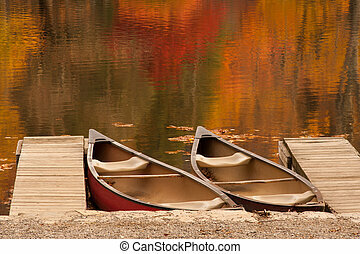 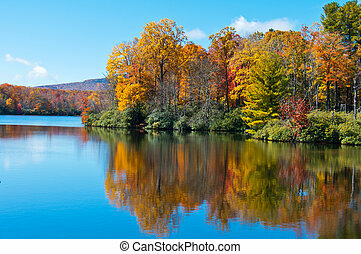 Colorful foliage frames the autumn scenery on the Blue Ridge Parkway, North Carolina. 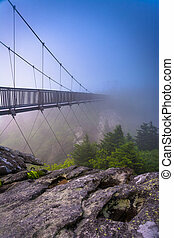 The Mile-High Swinging Bridge in fog, at Grandfather Mountain, North Carolina. 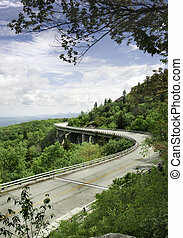 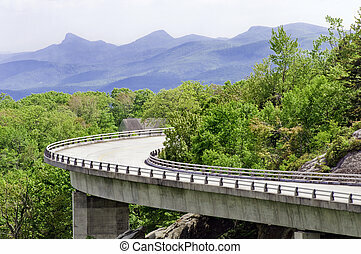 The Linn Cove Viaduct. 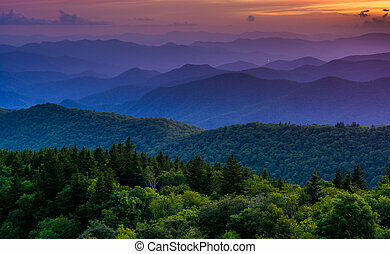 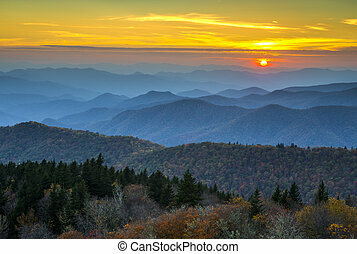 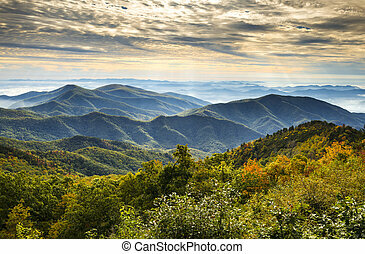 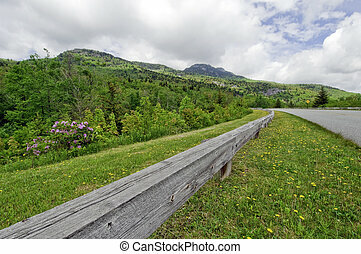 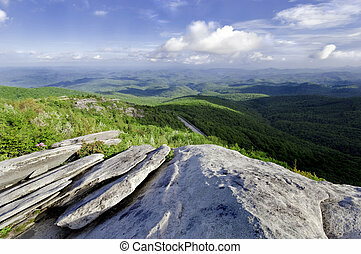 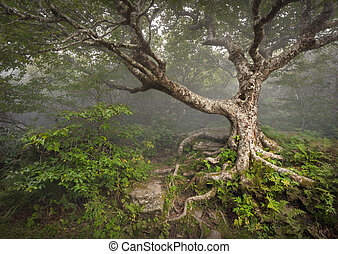 Part of the Blue Ridge Parkway near Grandfather Mountain, North Carolina. 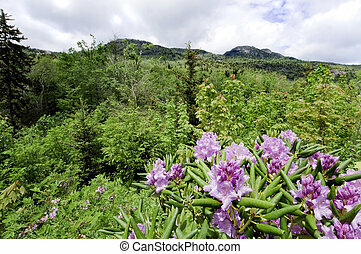 Beautiful view of the popular Blue Ridge Parkway destination Grandfather Mountain, with Catawba Rhododendron in full bloom. 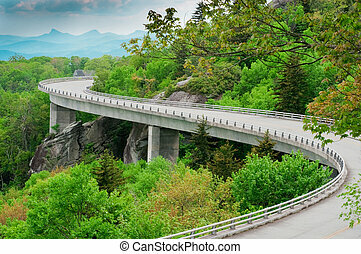 Panoramic view of the Linn Cove Viaduct. 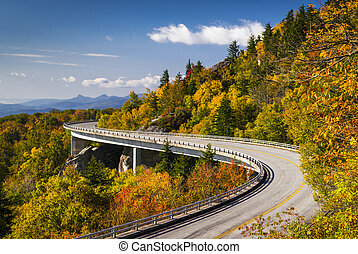 Part of the Blue Ridge Parkway near Grandfather Mountain, North Carolina. 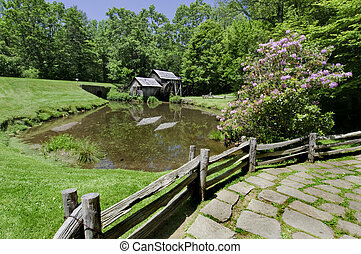 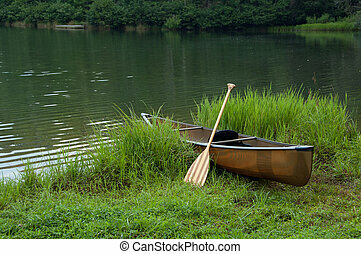 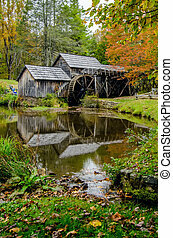 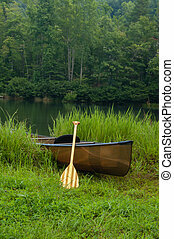 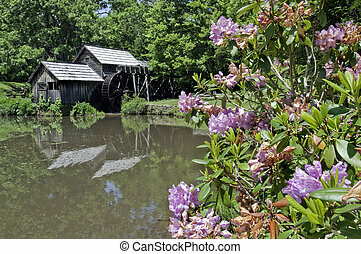 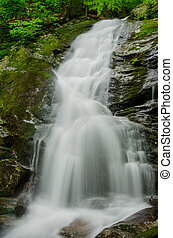 Historic Mabry Mill is a beautiful working watermill located in Floyd County Virginia, on the Blue Ridge Parkway.